Applesauce - Crochet, Starbucks and roadtrips, oh my! 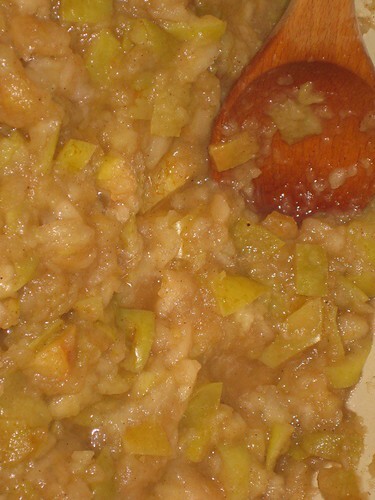 This afternoon I used some local Gravenstein apples to make applesauce. It's becoming a fall tradition for me, but the last time or two that I tried it I got distracted and burnt it, and had to throw it out. So I was determined not to burn it this time. That sounds kind of silly, because applesauce is super easy, but you know me. 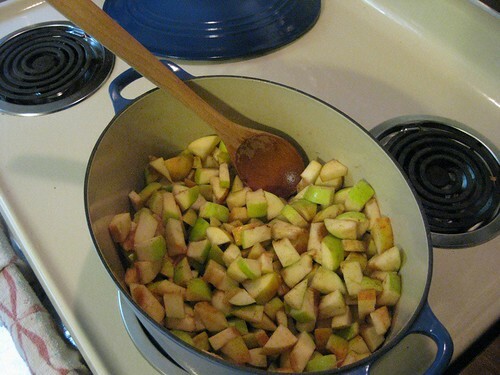 So I cored and chopped the apples and threw them in the pot with a little water and some cinnamon and allspice. I didn't bother peeling them, as I like the added interest in texture; plus the peels are where the good nutrients are. (I don't peel my potatoes before I make mashed potatoes, either, for the same reason.) After about ten minutes, they started getting soft, and I realized I'd put a little too much water in so I sucked it out with a baster and put it in a mug and drank it like cider. 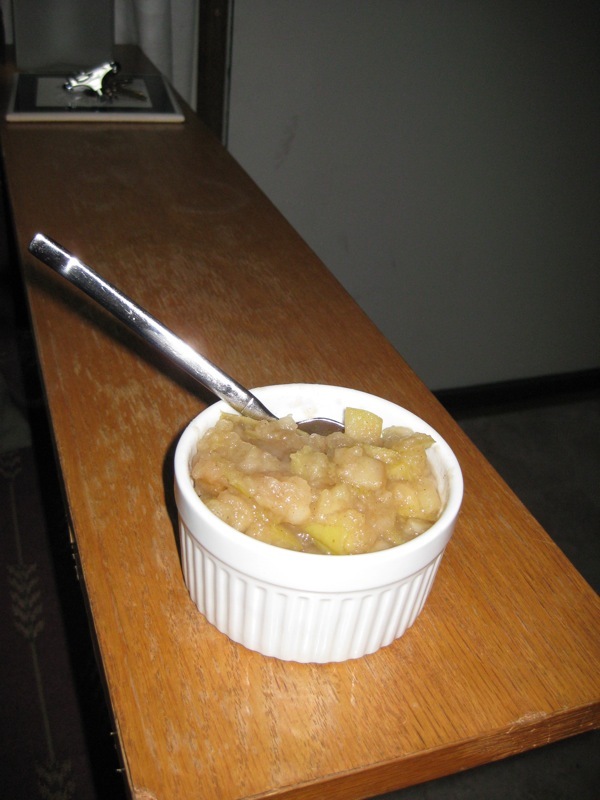 I let the applesauce boil on medium for half an hour, and then mashed it up with a fork. At one point my thumb slipped off the fork and I put my fist into the hot sauce, and burnt my bird-makin' finger a little. Barely hurt, though. I put a little lemon juice in, but gravensteins are a pretty good level of sweet vs. tart so I probably could have gotten away with not putting any in. I didn't put any sugar in, as I like tart sauce.